Frequently Asked Questions – We Have Answers! Why should I choose Renu? Because you will not be disappointed! Each massage therapist has their own distinctive style, and we are all uniquely different than the standard massage experience. Each therapist at Renu routinely receives work from other Renu therapists, and we can each personally vouch for each other’s work. See why our clients keep telling us we are different in great ways! Why else? So many reasons! We deliberately keep our overhead low by using a local Madison-based offsite receptionist service and using independent contractors who are available by appointment only. This way we can offer you every day low priced and top notch bodywork services. Since the therapists are contractors, they also get to keep much more of the service fee than do therapists at big chain type places. Everybody wins! Just don’t forget we are by appointment only – we might not be available if you drop without an appointment. It’s always a great idea to arrive 5 minutes before your scheduled massage, spa or Reiki appointment time to keep us on track. If you are a new client, we’ll have an intake form for you, so 10 minutes early would be ideal. If you arrive much more than 15 minutes early, we may not be done with our previous client or with our set up, lunch, break, etc., so the ideal time window is 5 – 15 minutes before your scheduled appointment time. If you do arrive 15 minutes early, you are certainly welcome to enjoy some tea in our Relaxation Room to prepare for your appointment. 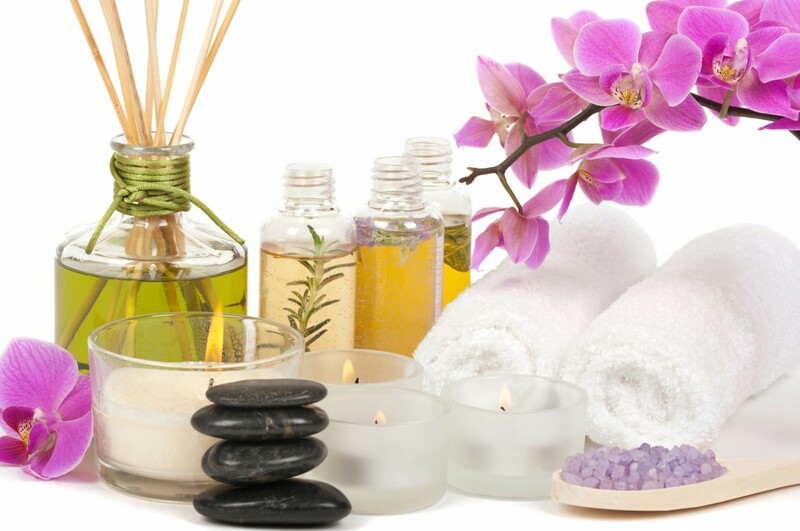 We encourage that pre-massage relaxation time! In a typical full body massage, we will massage your neck, shoulders, back, arms, gluteal muscles through the sheets, legs, hands and feet. Facial and scalp muscles may be massaged upon request or at the therapist’s discretion. Pectoral muscles may also be included if time allows or if specifically requested – we are able to access most of pec major while still keeping you comfortably draped. Pec minor may be accessed underneath the arm pit if it needs attention as well. If there is anything you want extra focus on or that you do not want to be massaged, just let us know! This is your session and you can tell us what your preferences are. We are also able to do abdominal massage including hip flexor muscles, though this is not typically part of the standard full body massage – if you would like that, please ask your therapist. Massage therapists will often tell you to “dress at your comfort level” – what does that mean exactly? It means it is entirely up to you! You will be covered with a sheet and a blanket, and we will uncover just enough to work on each area at a time. We would like to have access to your neck, back, arms and legs, so bracelets and necklaces should be removed. Whether you choose to wear underwear or not is your personal preference and does not affect your massage unless your garments extend down to your thighs, in which case we won’t be able to massage the quadriceps and hamstrings as fully, but that is your call. We have had clients who prefer to stay fully clothed and we can work with that – just let us know if that is your preference. Please ask your therapist if you have any questions on what to wear during the session. What if I want more or less pressure during the session? Please tell us! We will usually check in with you at some point during the session, but this is your time and you don’t need to wait for your therapist to ask how things are going – we welcome your feedback and want to respond to your needs. We often read your nonverbal cues but we can’t read your mind, so if the pressure is not to your liking, we want to know! You don’t have to endure pain to accomplish healing, and you are welcome to ask for more pressure if you want it. We will do our very best to accommodate you. This goes for techniques too – if there is something you are not enjoying, we really do want to know before we end the session. What types of conditions can massage help? Repetitive stress injuries – anybody have texting tendonitis or tablet back? What can we do with a 30 minute massage? Thirty minutes is good for targeted work on a specific issue – neck, shoulders, low back, knee, feet, wrist, etc. We can definitely accomplish a lot therapeutically in 30 minutes, but it will be limited to your targeted area. If you’re looking for a full body massage or if your goal is to relax, the 60 minute session is the better option to get the full benefits of relaxation to your nervous system. If you want a combination of relaxation and targeted therapeutic work, 90 minutes is your best bet, plus that’s a great option if you like a completely thorough relaxation massage. Those 60 minutes do go quickly as we tend to all of your muscles! Any extra focus work in a 60 minute massage takes away from something else whereas the 90 minute session allows time to cover everything pretty well. Please make sure you tell us if there are any areas you want to make certain we give adequate attention to! This will of course vary depending on the condition of your soft tissue, what your goals are, as well as your schedule and finances. If you are looking to make some headway on a specific problem, weekly for a month or so is a great way to retrain your muscles and reset your body, but lots of progress can still be made every two weeks and even monthly. Monthly massage is a wonderful way to maintain the health of your soft tissue and rebalance your energy with the meridian work that we do here at Renu. I saw that cupping video… not sure what that’s all about. Will my therapist want to do that? Only if you want to! Each therapist here at Renu has been trained in cupping therapy, and several have also received additional education through the International Cupping Therapy Association and are Certified Cupping Therapists. It is one of the most effective means for treating deep and chronic soft tissue pain and is really great in any massage to loosen the fascia. It does not have to be painful to be effective, and it doesn’t necessarily draw blood to the surface as shown in the video. This happens if the soft tissue has created a traffic jam of sorts within the muscle and blood, lymph, and toxins are not being circulated properly. Pulling them to the surface helps the body release the muscles and also process whatever was stuck within those restrictions. Massage cupping (moving a cup over the muscles rather than letting it sit) will not leave any marks, and it will feel great! Check out this article for more information. Why do you want my email address & a credit card number when I schedule an appointment? You will need to use your email address to create a log in using our online scheduling system. You will then receive an email confirmation of your appointment, any changes made to that appointment, and a reminder the day before your appointment. We will ask you for your email address if you book by phone so you will receive these confirmations and reminders. We do send emails for news, specials, and updates, but don’t worry – we don’t like getting junk email either! As for the credit card, our therapists only get paid if they have clients since they are independent contractors. In the event of a no show or last minute cancellation, the therapist will get 50% of their scheduled service. Asking for a credit card to secure the appointment dramatically reduces of no shows that we see. Thank you for understanding!